A beautiful blend of Syrah and Mourverde from Languedoc. A deep, inky red, this wine has a spicy aroma that leads to dark fruit flavours on the palate. One of many Vegan friendly wines available from Wines Direct. Domaine de L‘Hortus is a stalwart of the Wines Direct cellar and the Orliac family have been our friends for many years. Domaine de l’Hortus is nestled between the Pic Saint-Loup and Hortus mountains to the north of Montpellier. In fact, it was these mountains that originally brought Jean Orliac to the valley in the 1970s. Jean was an agricultural graduate as well as an avid rock climber, so he immediately recognised the potential of the abandoned parcels at the foot of the Pic Saint-Loup cliffs. He gradually acquired land in the area and began to make distinctive wine that draw finesse from this wild land. Following the year 2000, Jean’s Children returned, one by one, to help run the family estate. 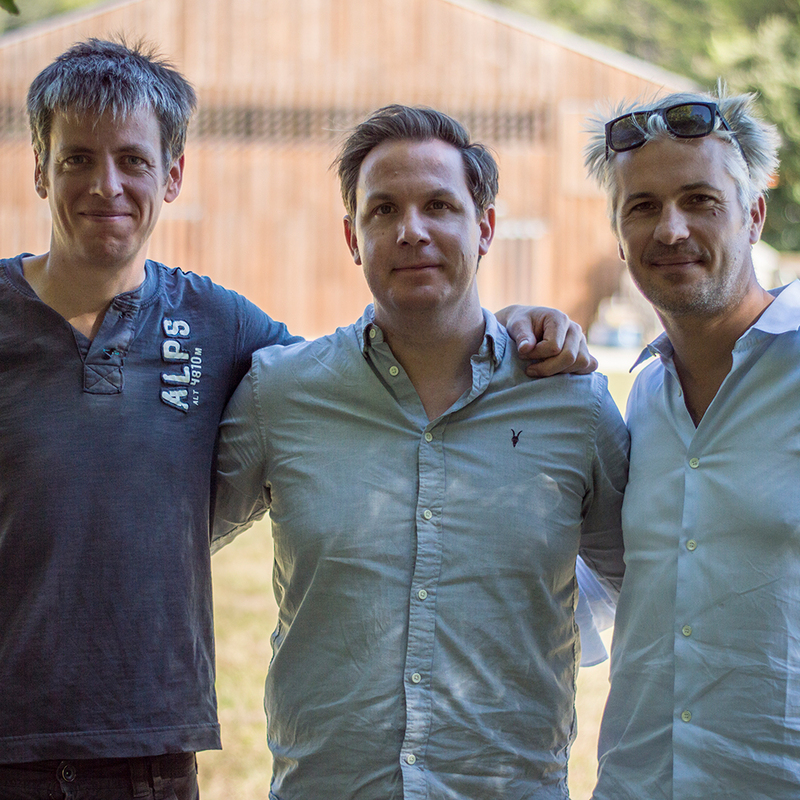 Today, Domaine de l’Hortus wines are the fruit of the efforts of François, Marie, Martin, and Yves Orliac (Martin and Yves pictured with Gareth Keogh). 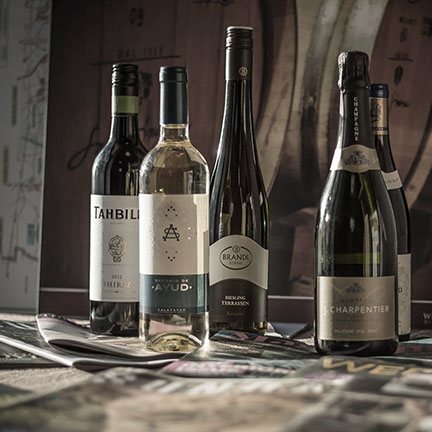 Each of them specialised in some area of the operation, either among the vines, in the cellar or in the office. However, they all share the same objective of perfecting the work handed down to them by their parents. Domaine de l’Hortus is a tribute to the wild landscape of the Pic Saint-Loup and Hortus mountains. Their wines are widely acknowledged as some of the most successful and pioneering in the Languedoc. "A fine example of how Languedoc can make reds of great elegance, this blend of Syrah and Mourvèdre is deep and rich but stays stylish. Spice and warm berry fruits, not unlike a fine Chateauneuf-du-Pape." "This is almost the second wine of Domaine de l'Hortus, in my opinion one of the greatest wines of the Languedoc, and one of my all time favourite wines. Year after year Jean Orliac manages to combine the rich herbiness of the Languedoc with wonderful purity of fruit. At a time when too many winemakers still think extra alcohol and extra oak mean quality wine, his wines stand out as beacons of light." "This Syrah and Mourvèdre blend is pleasingly dark and has a wonderful nose of heather and warm red fruits. The wash is breathtakingly complex with strawberry lushness, tempered with peppery tones. This strength and complexity is a mirror of the French rugby team, and this wine may be the ideal accompaniment to an understanding of their fast, flowing, and intelligent game play." "Never disappoints. A deliciously smooth mix of succulent fruit and peppery spice."